Using Amercium RTGs for a reusable Manned Lunar Lander-Could it work? 1. Is an Amercium RTG-Powered Lunar Lander worth it? Using Americium RTGs for a reusable Manned Lunar Lander- could it work? Additionally, Amercium RTGs would have a much lower power density of 2W/Kg, compared to Solar at 10W/kg. On the other hand, the increased capability of the lander and not having to carry O2 and H2 (if using fuel cells) may offset it. Question: how much power does it need? 2T needed for RTG version, but 0.4T for the solar version. Of course, excluding radiator and battery masses. You would certainly need a lot of battery for the solar panels. I could see the RTG being the better option, despite weighing over 4 times more than solar panels alone. That is a 2 ton RTG! No one has built such a thing! No, it's a 2 ton RTG CLUSTER. Why not just stick with plutonium? Because we're out of Plutonium-238, it has to be specially produced if you want to build any more RTGs. Ok, so some more googling : the obvious thing to do is to use a heat engine to get more bang from our RTG buck. Instead of using thermoelectric materials, use a sterling engine. Americium is a valid replacement for plutonium-238, but the latter is better. It depends on the economy and politics. You get plenty of solar power at the moon and there are various designs for how to store energy on the moon that are less effort than an RTG. Hence, even the long nicghts are not that problematic. So I would not use an RTG for a moon base, or only as backup. Stupid nuclear power bill. NASA can't make its own Pu-238, which will mean that its deep space exploration will be put on hold. I still think solars are a better idea. 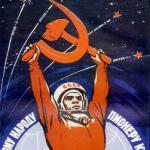 I don't think radiation is a good thing to expose to astronauts, they have enough already. 238PU has very little gamma & neutron radiation; most of it is alpha and beta particles which are easily blocked. Americium produces more harmful radiation though. Which is why solars are better, at least for the Moon lander. It was not suggested to land at night, but perhaps the experiments should work more than 2 weeks, in that case you need to bridge the night and not freeze to death in it. I always wondered why the Pu-238 from pacemaker batteries couldn't be reprocessed into Pu-238 for space use. I was thinking that too, but it's supposed to take 10 years to make Amercium RTGs a reality, then maybe another 6 years to make RTGs large enough for manned applications. Stirling might take another 6 years. Not sure if it is worth it by then. Couldn't the CH4 fuel act as shielding (plus a layer of lead.)? Old Pu-238 is less pure. If it is not pure enough, it is not very useful anymore. Besides, I doubt that there are enough pacemaker batteries to gain a significant amount. You would need enormous batteries to survive through the 16-day night. Let's say 200 Wh/kg capacity for the batteries. That sounds like a lot, until you consider Altair uses 9.3 kWh/hour, or 3571.2 kWh over a 16 day night. Since that is also 3571200 Wh, you would need a WHOPPING 17.86 T of battery. Not worth it. Also, Poll added. Debate away! Or you could use Fuel Cells. The Space Shuttle was powered by Hydrogen-Oxygen fuel cells, giving it a mission time of 2 weeks or so. The Apollo CSM was also powered by Hydrogen-Oxygen fuel cells, which was sufficient for the more than 12 days that some of the Apollo missions lasted. So, a fuel cell energy storage system would be more than adequate to sustain the base for the night. During the day, part of the solar power would be used to split the Water back into Hydrogen and Oxygen. Or you could use Fuel Cells. 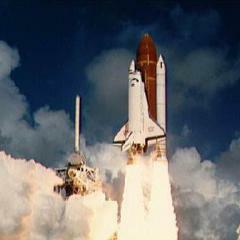 The Space Shuttle was powered by Hydrogen-Oxygen fuel cells, giving it a mission time of 2 weeks or so. The Apollo CSM was also powered by Hydrogen-Oxygen fuel cells, which was sufficient for the more than 12 days that some of the Apollo missions lasted. So, a fuel cell energy storage system would be more than adequate to sustain the base for the night. Fuel Cells could work, but would still be heavy- using the Apollo ones as a base, you would need 1.17 T of mass for the fuel cell storage system for Altair. Fuel Cells and Solar Panels would raise that to 1.6 T of Mass, or 0.4 T less than RTGs. Of course, that's misleading, since RTGs also heat the spacecraft up, something essential during the cold lunar night, and is not included in these numbers. That would probably put the power system masses to on par or slightly less than RTGs, since RTGs also require shielding. To quote myself: "it has to be specially produced if you want to build any more RTGs." The DOE will begin by supplying NASA with 300 to 400 grams of the material per year. Once the process is scaled up, the DOE will supply the space agency with an average of 1.5 kilograms each year, the statement said.